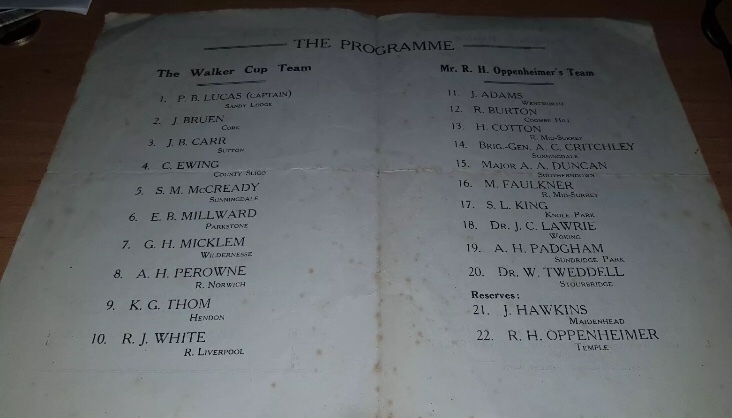 Prior to travelling to the United States the 1949 GB&I Walker Cup team played two practice matches against a collection of leading amateurs and professionals. 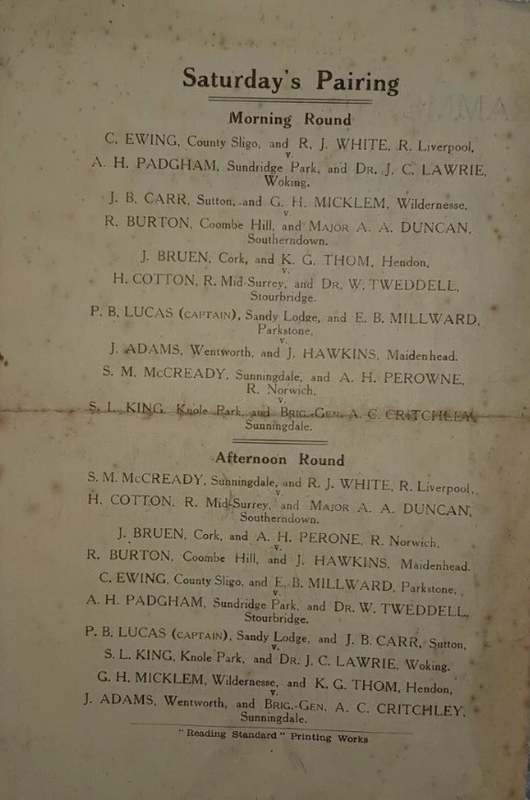 The competitive matches gave the Captain Laddie Lucas the opportunity to develop some team spirit and to experiment with his foursomes pairings. 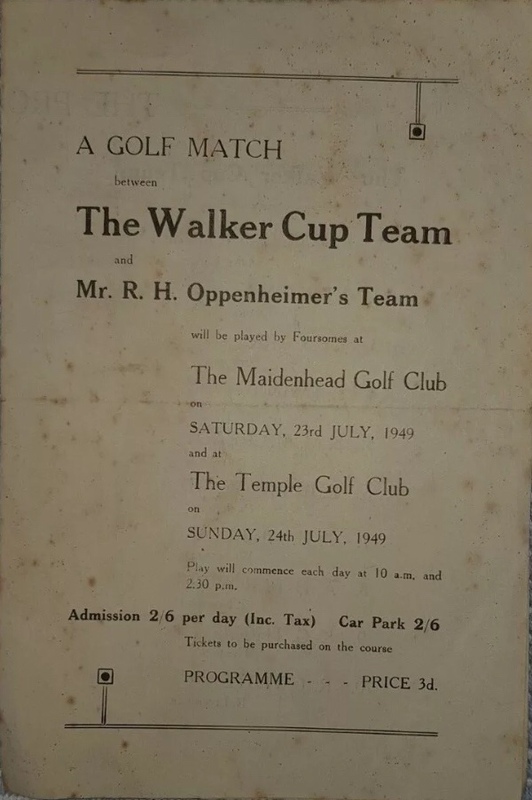 The first, arranged by Raymond Oppenheimer, took place at Maidenhead and Temple GC’s on 23rd and 24th July. The second against a British PGA team at Royal Mid-Surrey G.C. on 26th and 27th July.